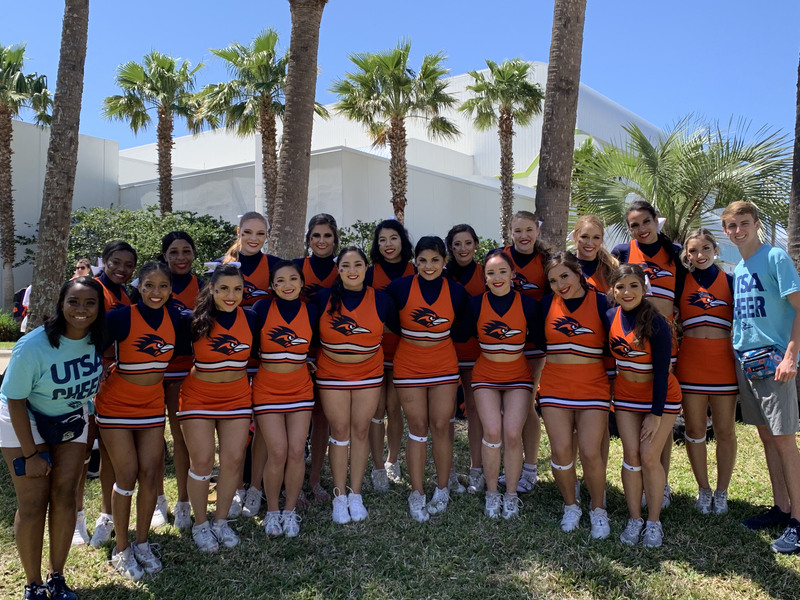 Ranked number five in the nation, the UTSA cheerleaders traveled to Daytona, Florida, to perform on the Bandshell from April 4 to 7, for the 2019 NCA & NDA Collegiate National Championship. This was the first time UTSA has competed with both teams since 2013. The Roadrunners took the floor at 4:31 p.m. E.T. on Friday, April 5. 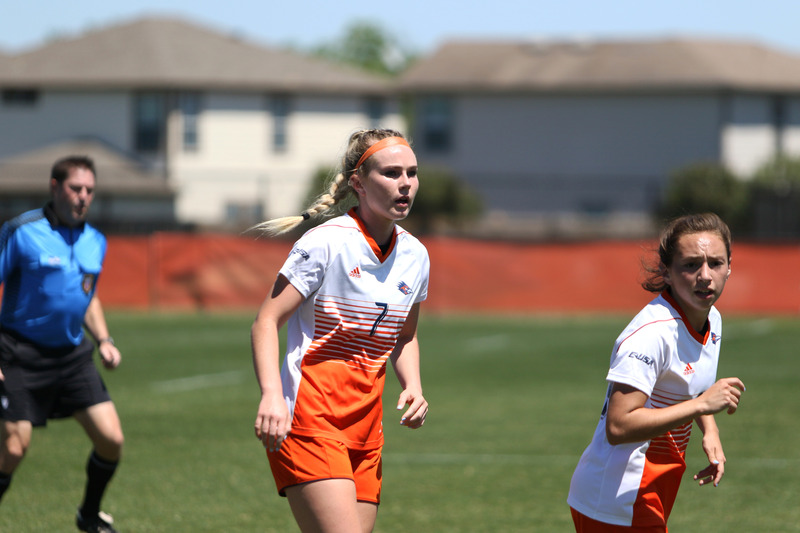 Both teams finished fifth overall, maintaining fifth in the nation. Prior to flying out to the National Championship, the ‘Runners held a showcase in the Convocation Center on March 28, against the Texas State club cheer team. In this friendly competition, the ‘Runners displayed their Large Coed and All-Girl teams as they performed their game-day cheer and their dance routine. Although the Large Coed team had a full up fall during their dance routine, they went back and showed the stands their routine in full. When the ‘Runners made it to Daytona, they were one of the top seven elite teams for Large Coed Division 1A in the nation. The ‘Runners have had a multitude of top-10 finishes for Small Coed Division lA cheer. Back in 2015 and 2016, the ‘Runners earned back-to-back second place finishes in Small Coed Division 1A. This year, UTSA made the switch from Small Coed to Large Coed Division lA. The Coed ‘Runners threw one standing full with multiple standing tumbling passes along with five baskets composed of full tosses and X-outs. Overall, their favorite building skill in their routine is when they hit a full up. The team enjoys working together to hit the final structure, and this shows their ability to work together as a team. In the preliminary round, both the All-Girl and Large Coed teams competed their Game Day routines which included their mascot Rowdy, chants and signs. Both teams earned a 10 out of 10 before performing their dance routines and were judged off their advanced skill sets and coordination abilities. During the two minutes and 30 seconds allotted to showcase their talents, they were judged upon their tumbling, stunts, jumps, pyramids, choreography, collegiate image and overall performance. At the end of day one, All-Girl placed fourth and Large Coed placed sixth, with both teams advancing to Finals. In the final round, 25 percent of the day one score is calculated into the overall end score. On Saturday, both the All-Girl and Large Coed cheer teams advanced in Division 1A. At the end of day two, both ‘Runner teams finished in fifth. Heading into All-Girl Finals, the University of Louisville kept their win streak into Finals with a leading score of 97.02, and the University of South Carolina trailing behind with a score of 94.35. Results for Game Day Division 1A, Southern Methodist University placed first heading into finals with a score of 97.53, three full points ahead of the University of Michigan with 94.33.